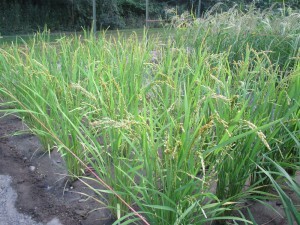 Another Japanese lowland rice that can be grown as an upland rice if planted in an area where the soil stay moist during the growing season. I irrigated my beds of Yukikihari two times per week. 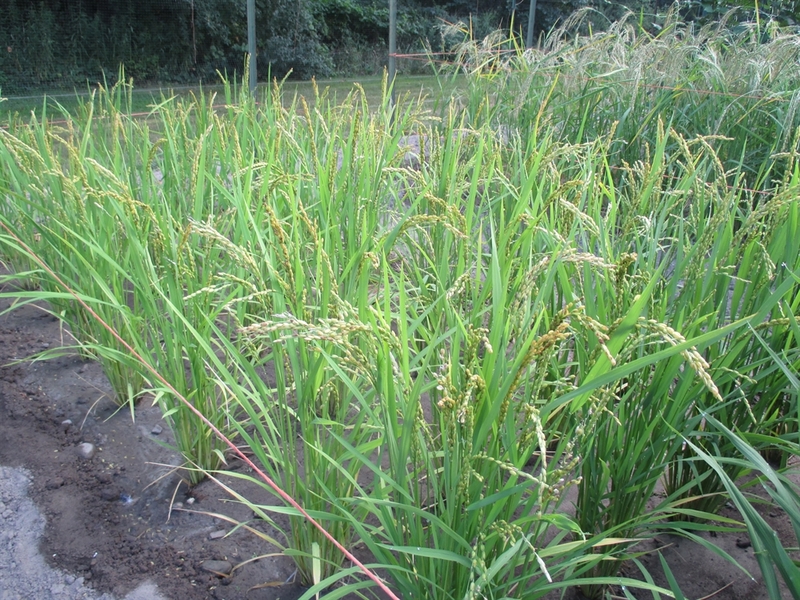 It is recommended to be grown as paddy rice in zone 5b. In 5a or warmer it can be grown in either a paddy or as an upland variety. Alternative planting method. In the spring of 2017 I experimented with direct seeding rice into beds in late May. I had success with early maturing varieties. I recently learned that rice can be direct seeded even earlier; possibly at the beginning of May or late April. I would suggest you conduct some small trials if you are interested in this method. Transplanting has proven to be very reliable for 5 years in a row. Direct seeding is a new concept for me and I can not guarantee the results for any given variety. I am growing in a zone 5b (moving towards a 6). My seed stock came from Wild Folk Farm in Maine.